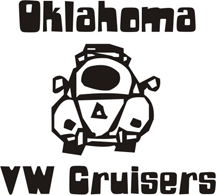 Oklahoma Vw Cruisers • what's up?? My name is Joey, I'm 27.. I'm a proud owner of a Kansas beige 71 super beetle. I've had it for about 9 years now and I'm just now getting pretty serious about restoration on her. I usually post on thesamba.com.. I live in NW okc... So, if anyone wants to help out sometime, would be great. Once I get her put back together, looking forward to cruisin with you guys. So, guess that's it! Maybe look for a build thread from me soon. Welcome to the group. post up some pic of your Kansas tan SB sometime!! Welcome. I've got a '71 SB sleeper project. More like asleep. Haven't touched it in over 2 years. Glad to see more interest in the supers.